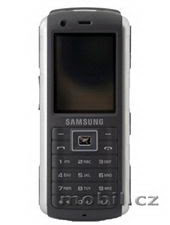 Samsung has launching the GT-B2700, a new candybar phone certified to be resistant to water and dust. The B2700 is actually a significant upgrade to the rugged Samsung M110. According to Mobil Czech, Samsung’s strategy is to launch phones in a market that has been rather underserved or neglected by the mobile industry. No video calling or second camera on this one, but the rugged build will attract a lot of customers and built-in compass/altimeter make it intriguing. The phone’s durability was tested and certified at IP54 level. This means that no dust particle larger than 1mm is allowed into the phone thus keeping the phone in good working order, and is protected from direct sprays of water.